We’ve been asked to announce the death of Michael Corlett of Briarfield Avenue, Birch Hill, Onchan. He passed away on Saturday 30th May 2015 at his home. Beloved Husband of Mary, loving father of the Late Andrew and Brother of Orry, Carol and the late Billy. 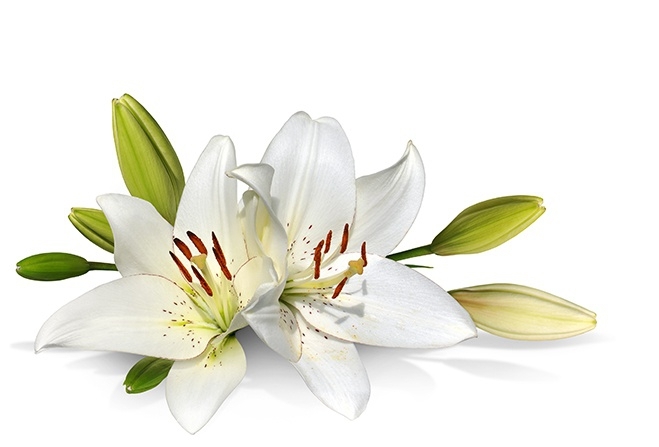 Requiem Mass will be held at St Anthony’s, Onchan on Friday June 5th 2015 at 11.00am, followed by burial in Douglas Borough Cemetery. For further information regarding donations in lieu of flowers please contact Eric Faragher Limited, 6 Main Road, Onchan by telephoning 673109 or 622897. Nominated charity is Hospice Isle of Man. We’ve been asked to announce the death of Michael (Mike) Henthorn, aged 65 years formerly of Ballasalla. He passed away on Saturday 30th May at Hospice, surrounded by his family. He leaves a wife Janet, son Mark and daughter Emma. The Funeral Service will be held at St Georges Church in Douglas at 4pm on Thursday 4th June followed by Cremation. For further information regarding donations in lieu of flowers please contact Kingswood Funeral Home, Kingswood Grove, Douglas by telephoning 661611. We’ve been asked to announce the death of John Howard (Howie) Corlett, aged 81 years, of Snaefell Crescent, Onchan. He passed away on Friday 29th May 2015 at Noble's Hospital. He leaves wife Margaret, sons Neil and Alistair, daughter Hilary and families. The funeral service will be held at St Peters Church, Onchan, at 2pm on Wednesday 3rd June, followed by private cremation. For further information regarding donations in lieu please contact Eric Faragher Limited, Funeral Directors, 6 Main Road, Onchan by telephoning 673109 or 622897. Nominated charity is St Peters Church, Onchan. We’ve been asked to announce the death of Dorothy Rose Colebourn, aged 95 years, of Belmont Hill, Douglas. She passed away on Thursday 28th May 2015 at Elder Grange Nursing Home. She leaves daughters Ann, Jill and families. The funeral service will be held at Douglas Lawn Cemetery on Thursday 4th June at 1.15pm, followed by private cremation. We’ve been asked to announce the death Kenneth Raymond Kermode, aged 83 years, of Hazel Court, Onchan . He passed away on Wednesday 23rd May 2015 at Hospice IOM. Father of Cathy and Wayne, A dear Grandfather, Great Grandfather and Uncle of Phillip . The Funeral Service will be held at The New Lawn Cemetery, Douglas, on Friday 5th June at 10.45am, followed by Cremation. For further information regarding donations in lieu of flowers please contact Alfred Duggan and Sons, The Manor Chapel of Rest by telephoning 673328. Nominated Charity is Hospice IOM. We’ve been asked to announce the death of Nancy Galt, of Ballabrooie Way, Douglas. She passed away on Saturday 23rd May 2015 at her home surrounded by her family. She leaves husband Jock, daughters Marilyn, Ann and family. For further information regarding donations in lieu of flowers please contact John Boyde Funeral Services by telephoning 861794 or 494399. Nominated Charities are Royal British Legion or the Salvation Army. We’ve been asked to announce the death of John Karran Qualtrough, aged 75 years, of Cronk Road, Port St Mary. He passed away on Monday 18th May 2015 at his home. He leaves wife Barbara, daughters Carolyn and Sharon, sons Andrew and William, and their families. The funeral service will be held at Rushen Parish Church, on Friday 22nd May at 2pm, followed by interment in the churchyard. For further information regarding donations in lieu please contact Kissack's of Crosby Funeral Directors by telephoning 851377. Nominated charity is RNLI Port St Mary. We’ve been asked to announce the death of Raymond (Ray) Comish, aged 87 years, of Southlands, formerly of Higher Foxdale. He passed away on Monday 11th May 2015 at Nobles Hospital, Braddan. He leaves daughter Sandra, sons Stuart and David, special friend and long term companion Moira, and all families and friends. The funeral service will be held at St Paul's Church, Foxdale, on Tuesday 19th May at 2pm, followed by burial in Foxdale Churchyard. For further information regarding donations in lieu of flowers please contact David Lancaster Funeral Director Ltd by telephoning 842945. We’ve been asked to announce the death of Kathleen Anne Ritson, of Ballafletcher Poultry Farm Cottage, Braddan. She passed away on Saturday 9th May 2015 at home. She leaves a loving husband, sons David, John and James. A service of thanksgiving will be held at Union Mills Methodist Chapel, on Monday 18th May at 10.30am, followed by private cremation. For further information regarding donations in lieu of flowers please contact Eric Faragher Limited, Funeral Directors, Main Road, Onchan by telephoning 673109 or 622897. We’ve been asked to announce the death of Arbory Leeming, of Barroose Road, Lonan. She passed away on Thursday 7th May 2015 at her home. She leaves husband Ewan, sons Colin, Darren and Keiran and families. The funeral service will be held at St Peters Church, Onchan, at 2pm on Wednesday 20th May, followed by private cremation. We’ve been asked to announce the death of Kathleen (Kath) Cannell, aged 91 years, of Conk-y-Berry, Douglas. She passed away on Tuesday 5th May 2015 peacefully at Elder Grange Nursing Home. She leaves husband Ted, daughters Karen and Jan and families. The funeral service will be held at Kirk Braddan at 11am on Friday 15th May, followed by private cremation. We’ve been asked to announce the death of Roy Hargreaves, aged 92 years, formerly of Ramsey Road, Laxey, latterly of Castle View Nursing Home, Peel. He passed away on Sunday 3rd May 2015. Beloved husband of the late Alice, dearly loved father of Eric, Roy and Jen. The funeral service will be held at Christ Church, Laxey, on Wednesday 13th May at 1.30pm, followed by private cremation.